LinkedIn is a social networking site for business professionals. Most social networking sites are intended for personal use; a way to connect and share with friends and family. LinkedIn is different because it focuses on helping you connect with people in your professional network – past and current coworkers, colleagues, members of groups and associations, etc. How do you start using LinkedIn? Go to www.LinkedIn.com and create an account by using you email address and creating a password. Next, you will have the ability to choose the situation that most closely describes where you are professionally: employed, business owner, looking for work, working independently, or a student. Choose the best option and you will be walked through the rest of the set up process. LinkedIn will help you search your email client to find contacts that are already using LinkedIn and to invite people who aren’t to join. You will also be shown suggestions of people you may know. After that is completed, you will need to edit your profile in order to add all your information. You will list your current position, past positions and education. You can even add a summary paragraph to describe yourself freely to those who will view your profile. Once you have added all of your information, make sure you add a profile picture. Many people have the same name, so the picture you add will help the people you know professionally to find you. At the top right of your profile, there is a search bar. Choose “search groups” from the drop down box on the right of the search box. Then type in an interest of yours: marketing, human resources, etc. 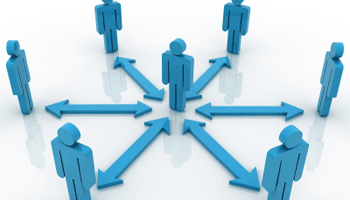 Find a group that is relevant to you and join to start contributing to the online discussion. This will help you network even more and create new connections. Groups are great resources because they put you in touch with industry experts who have invaluable advice and ideas. Erica Hebrank is a marketing consultant for Green Polka Dot Marketing, where she works to help clients create multi-faceted marketing strategies, including: graphic design & identity creation, website design, search engine optimization, email marketing, public relations and social media. Find her on Twitter. 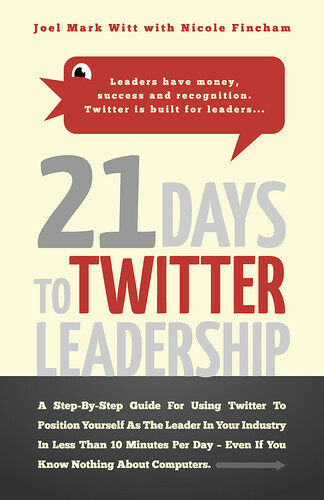 Get the book “21 Days To Twitter Leadership” The Step-By-Step Guide On How To Twitter, Get Twitter Followers And Position Yourself As The Leader In Your Industry In Less Than 10 Minutes Per Day.